You can feel the wind slide off the Arctic Ocean as it saddles up next to you.This is when you contemplate if you really have on enough layers. Grasshoppers are decomposing along with Caddis and Mayflies. 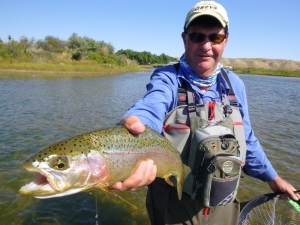 Midges catch a breeze and end up in Wyoming by lunch time. Sling lead. Heavy wet flies can keep you warm.